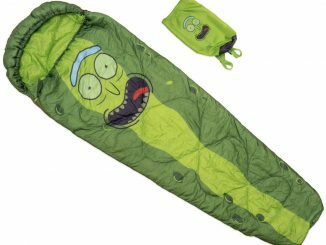 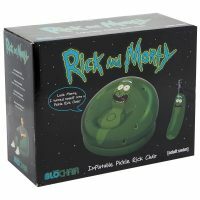 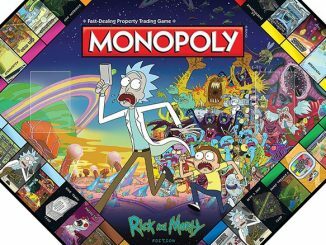 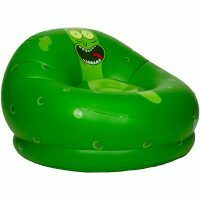 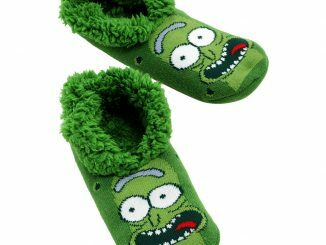 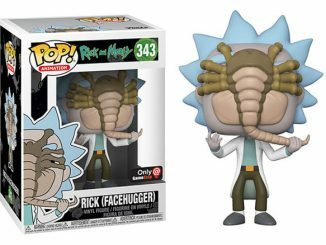 Nothing is better than kicking back in a Rick and Morty Pickle Rick Inflatable Chair, putting your feet up, and watching a new episode of Rick and Morty on Adult Swim. 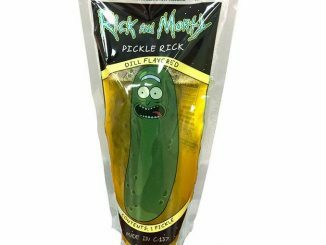 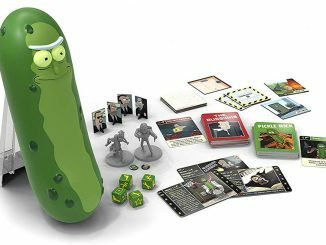 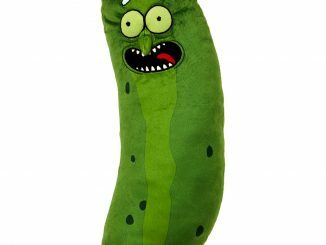 Well, new episodes won’t be out for quite a while, but you can get this Pickle Rick chair today. 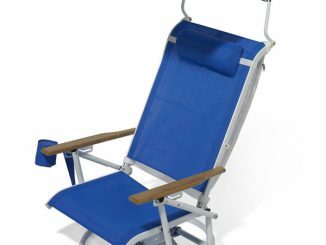 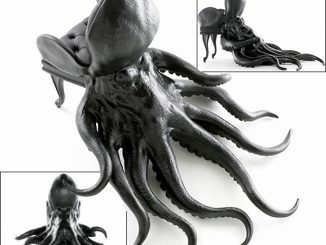 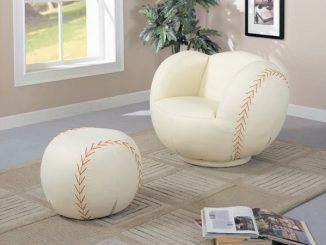 Since this chair is inflatable, it is lightweight and easy to bring anywhere. 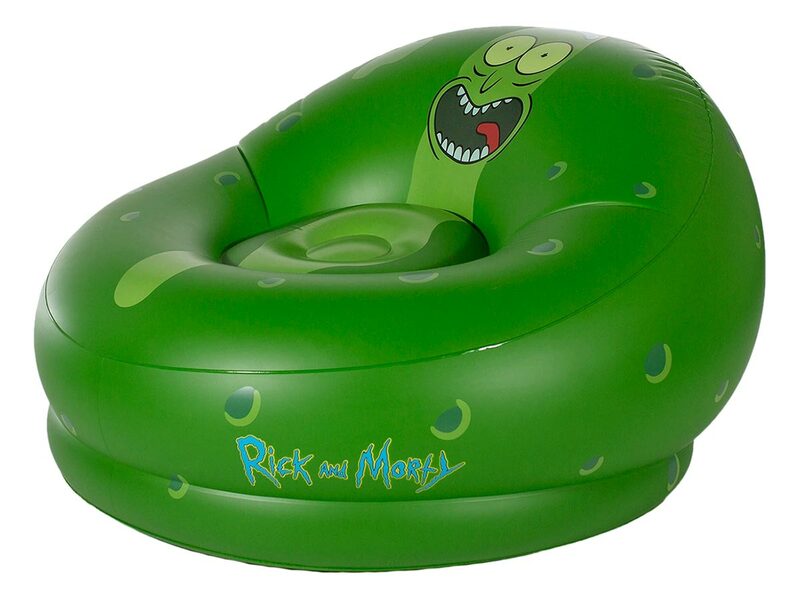 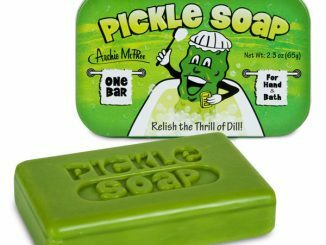 Once inflated, it measures approximately 40″ x 43″ x 30″ and can support up to 250 pounds. 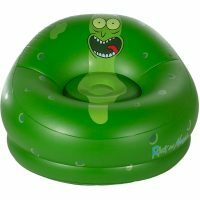 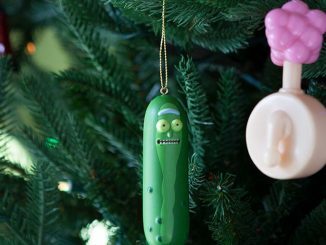 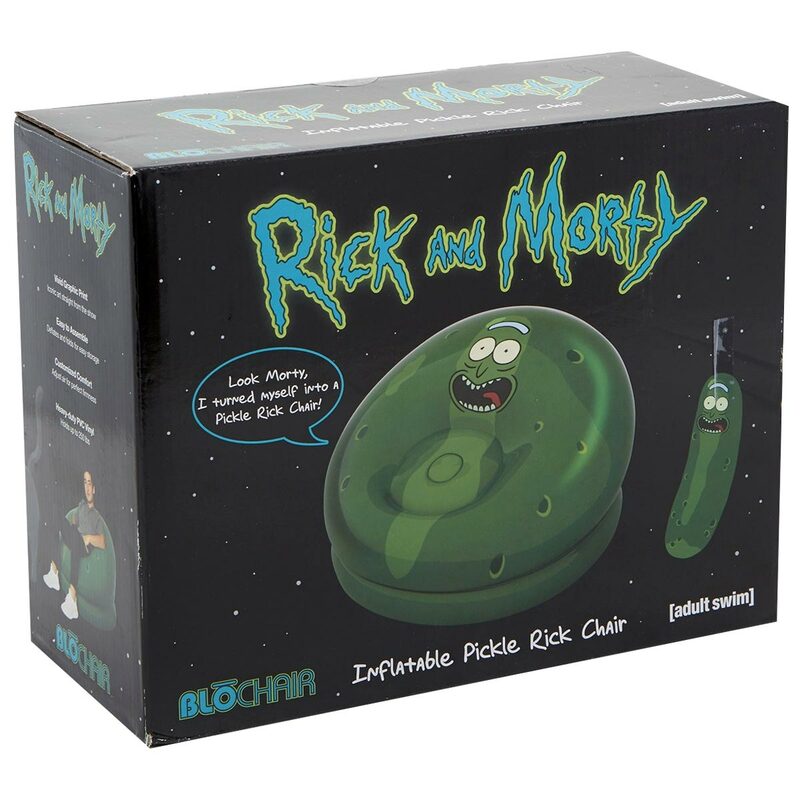 Straight from the critically acclaimed Rick and Morty comes this inflatable Pickle Rick chair. Whether you’re playing games, studying, or just relaxing, this inflatable chair is a lightweight, easy-to-inflate chair that adds comfort to any room.